With over 270 miles of coastline, Puerto Rico has an abundance of beaches and, naturally, water activities. But which beach has the best snorkeling? Where should you go if you want to surf? Which are the cleanest? Here are the answers to all your aquatic questions. 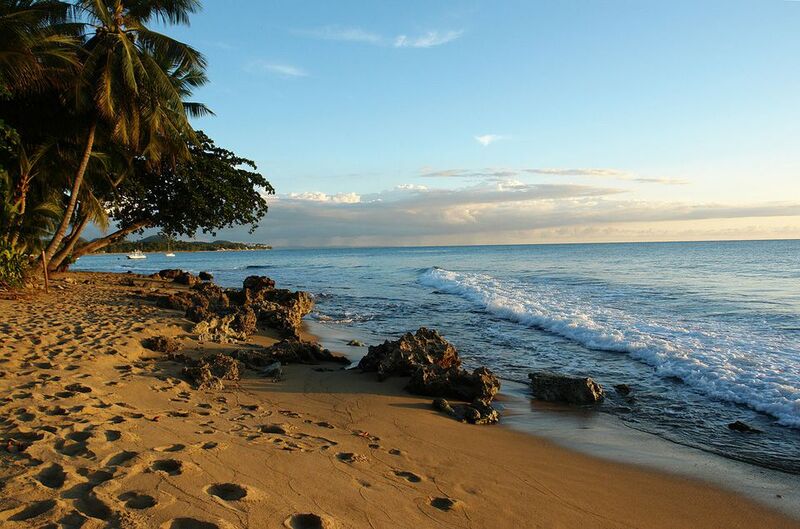 There are many secluded beaches in Puerto Rico, and at least one that can play exclusive host to you and your party. On Culebra Island, Resaca Beach is a challenging hike away and is often deserted. West of San Juan, in Manatí, you'll find Mar Chiquita, which means “Little Sea.” This is a picturesque crescent of water protected from the fury of wind and ocean currents by encircling arms of rock. The Guánica Dry Forest also houses Ballenas Bay, a two-mile stretch of beach known more to turtles than people. Not far away is Caña Gorda, an isolated gem. And, if you sail from Fajardo, head for Icacos, an idyllic spit of sand that forms part of a chain of islands. In truth, this list only scratches the surface of the many undiscovered or less visited beaches on the island. Again, there are many candidates. Vieques has excellent snorkeling from many of its beaches, with Blue Beach and Playa Esperanza headlining the list. On Culebra Island, Carlos Rosario reigns supreme; in Culebrita, West Beach has abundant marine life, and on the south side of the island is the Culebrita Reef. Playa Shacks has its famous "Blue Hole" snorkeling spot. And the sadly named Gilligan's Island a mile off the Guánica shore is an off-the-beaten-path treasure trove for snorkelers. Best Beaches to "See and Be Seen"
This one is no contest: for those who like the spotlight, you can't beat the beaches in Isla Verde and Condado, along the ritzy resort strip. Sun Bay in Vieques gets packed with beach-lovers, and Flamenco Beach is the main reason people keep coming to Culebra. In Rincón, Sandy Beach is always active. A short sail from Fajardo lies the picturesque islands of Palominos, the exclusive province of guests of the El Conquistador Resort and Golden Door Spa, and Palomonitos, a tiny spit of an island so famous that it's something of a movie star; on busy weekends, yachts and boats can be seen crowding around it. At Puntas and Domes Beaches, you can spot whales in the winter. Rincón's Antonio's Beach and Vieques' Playa Cofí are known for their sea glass (which are colorful and smooth glass rocks that are the result of debris and natural erosion). Puerto Hermina is a secluded beach in Quebradillas that once served as a smuggler's cove and to this day is suspected of harboring pirate treasure.